When you enter the London Marathon ballot, you don’t find out that you’ve got a place until October. At that point, you are plunged into six months of Winter training. It’s tough, and it’s all-consuming. 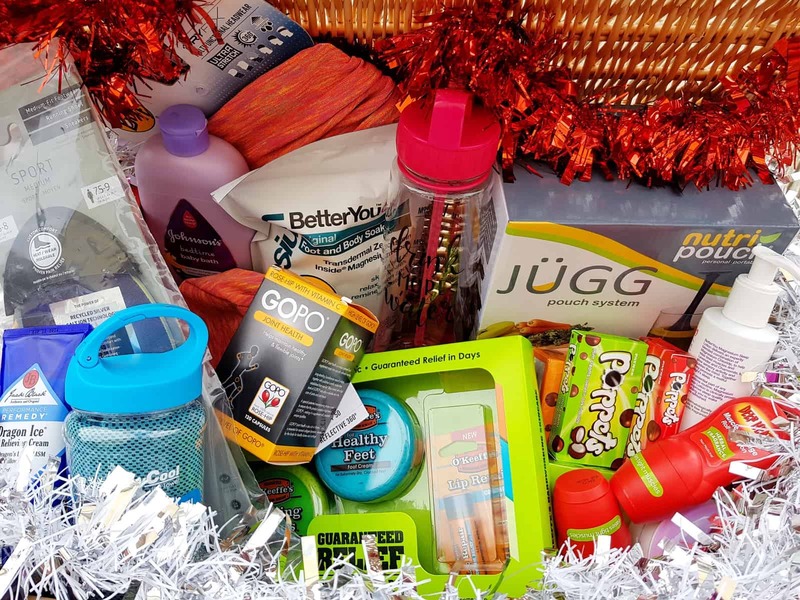 So, if you know a runner who will be training through the Winter for any reason, here are a few Christmas gift suggestions they will love. 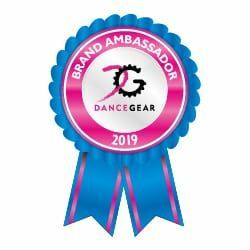 The Poppy Shop Running Leggings: Last year I highlighted how the Poppy Shop supports the work of the Royal British Legion all year round, not just on Remembrance Day. 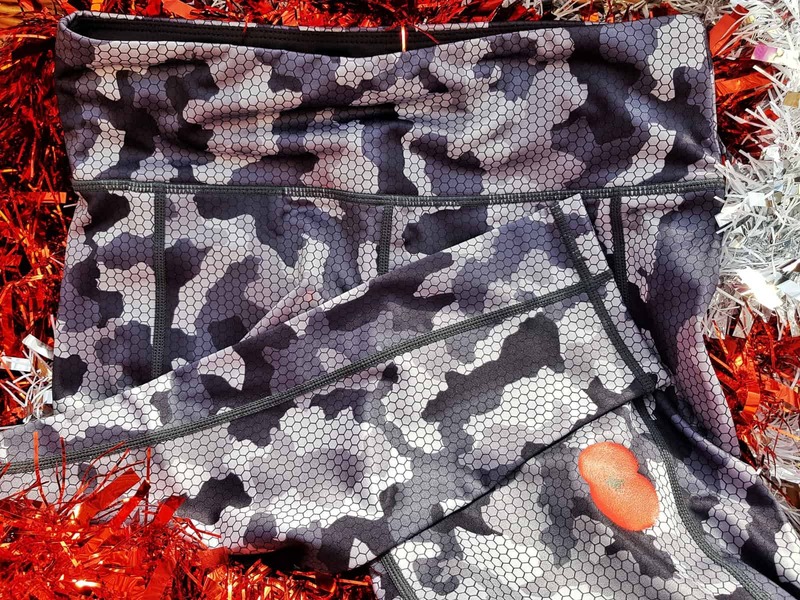 This year, they’ve introduced a gorgeous range of camouflage fitness clothing bearing the poppy motif. Their running tops and these running leggings are lightweight, breathable and stretchy. The leggings have a pocket too. Better still, all profits raised from these products go directly to the Royal British Legion to support current and former members of the British Armed Forces and their families. Buff hat and scarf: At this time of year, most of us end up running in the dark. To ensure you stay safe, it’s essential to wear something that drivers will see when you’re on the road. 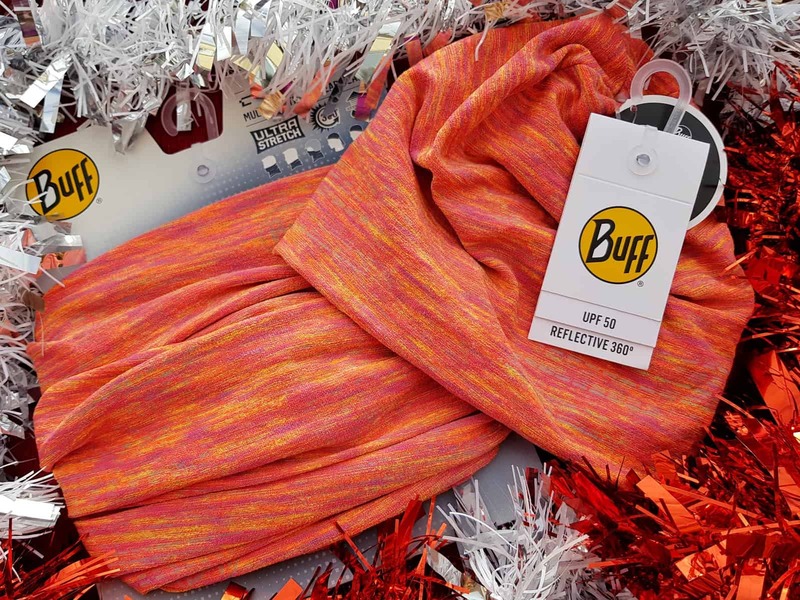 The new Buff DryFlx range is made with 360° reflective fabric to help you stay warm and safe when training outside. It is stretchy and wicks sweat from the body to control your temperature, so you remain warm and dry in the coldest weather conditions. 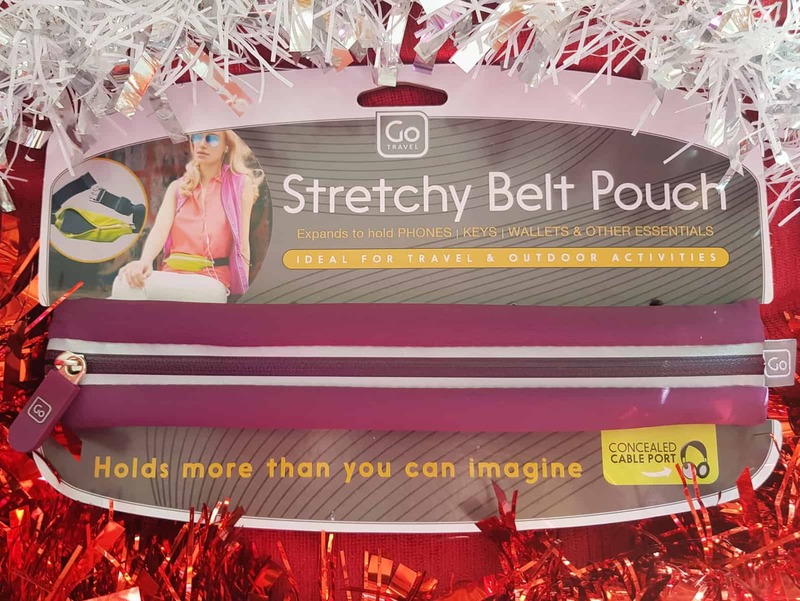 Go Travel stretchy belt pouch: This super useful belt pouch is ideal for running. It expands to hold keys, phone and other small items. The stretchy material holds everything in place to avoid chafing and rubbing. A reflective strip ensures you’ll be seen and a concealed cable port is ideal for plugging in the earphones, so you have instant access to your phone while you run. 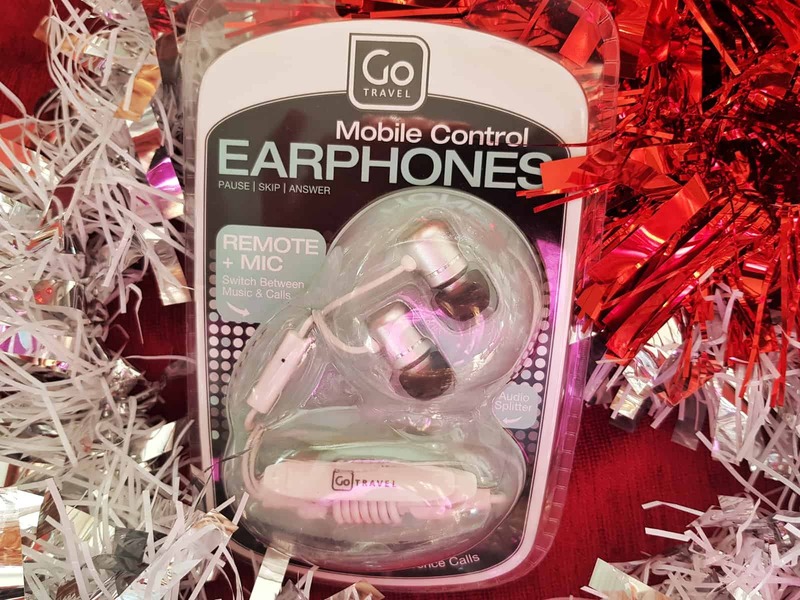 Go Travel mobile control earphones: Earphones combining high quality sounds and mobile convenience are ideal for running. An integrated in-line remote control and built in microphone in these mobile earphones allow you to switch easily between calls and music to take your mind off the miles in your legs. 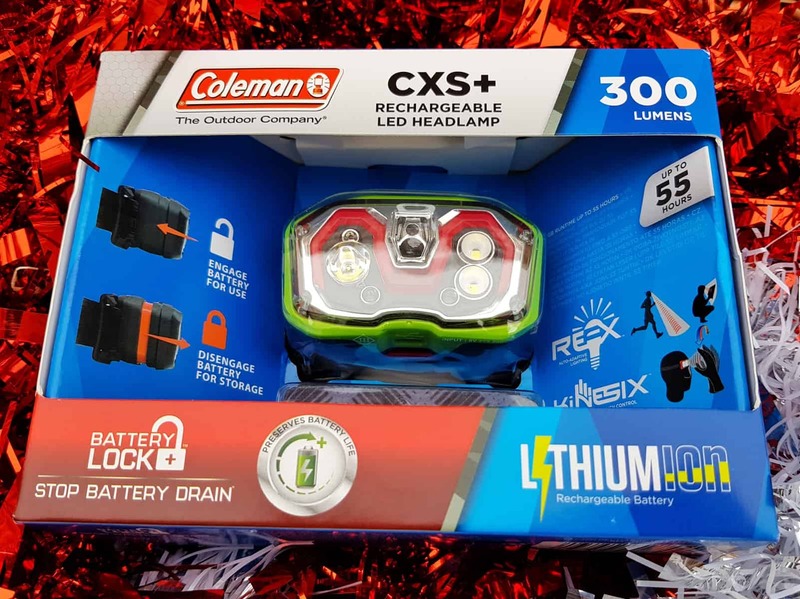 Coleman CXS 300+ LED Head Torch: Running off road at night isn’t for everyone. But personally, I love it. It breaks up the monotony of running on the road and there’s something beautiful about being somewhere completely dark. That said, a head torch is a must if you don’t want to end up flat on your face. This super-efficient rechargeable head torch adjusts at the wave of a hand. Its super bright 300 lumen output and battery lock technology combined with its rugged outer make it a great gift for those that enjoy a run as the evenings get darker. Stay Cool Ice Towel: Whether you’re running outdoors or in the gym, cooling down afterwards can take a while. 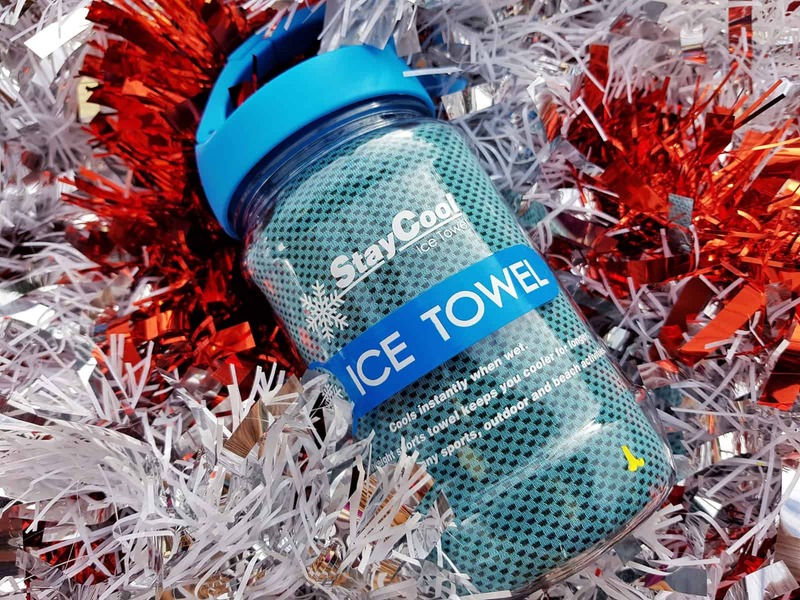 The Stay Cool Ice Towel is like having an ice pack with you at all times. However, this one will never melt and you don’t need to freeze it. Simply wet it, squeeze it and shake to activate. For parents, it’s great for use on children with a temperature too. It stays cold for two hours and when you’re not using it, it’s easy to store until you need it again. 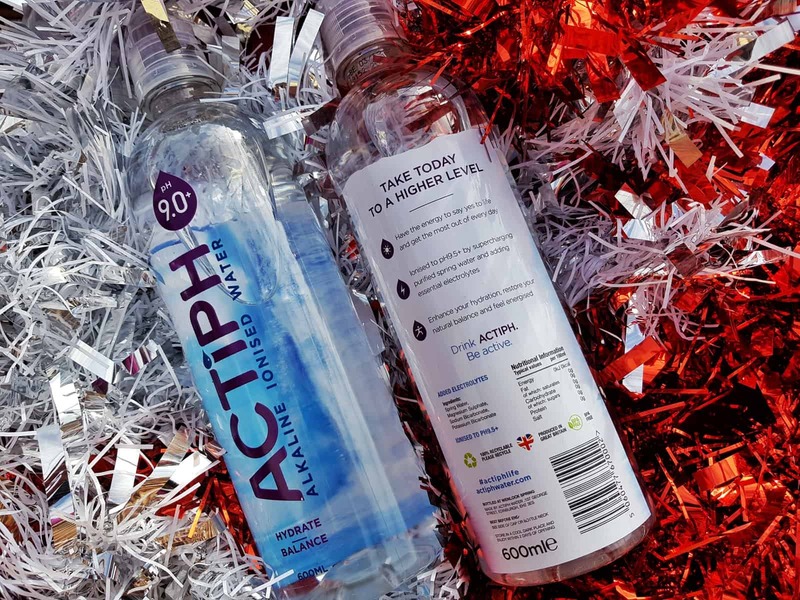 Actiph alkaline ionised water: Drinking sufficient water is important for anybody doing a lot of running. Actiph Water is the first alkaline ionised water launched in the UK, with a pH level of 9.0 or higher. It is an alkaline alternative to acidic drinks, like energy drinks and coffee made by purifying spring water from Shropshire. Electrolytes are added, then the water is supercharged by ionisation to remove sour, acidic ions leaving a smooth, alkaline water. This can ensure essential minerals are retained in the body, increasing energy levels as well as hydration. 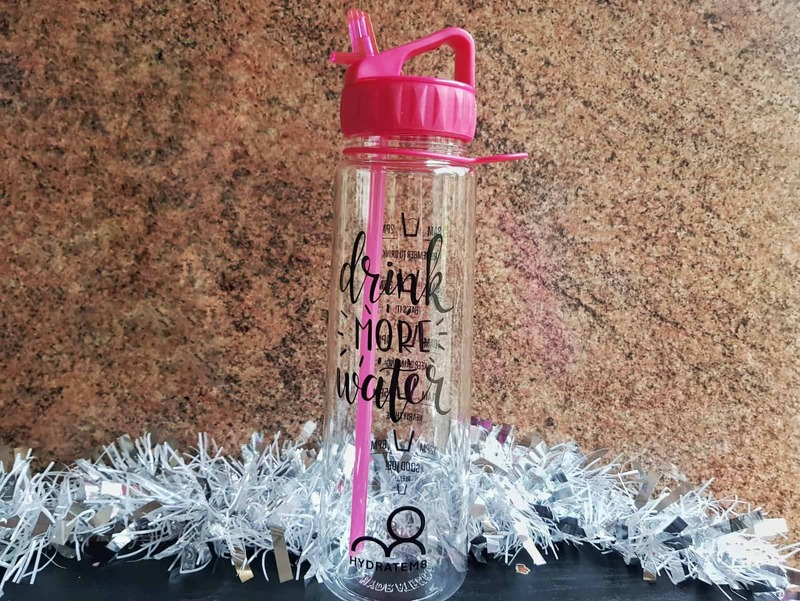 Hydratem8 drinking bottle: We all know staying hydrated is important, but it’s difficult to know how much we need to drink. A hydration tracker water bottle provides you with a daily schedule of how much to drink. This will help provide everyday energy, improve concentration and maintain healthy hair and nails. Drinking throughout the day will also ensure you are sufficiently hydrated when running. After this we’re getting pizza water bottle: Motivating yourself to run or go to the gym can be tough. There’s nothing quite like a reminder of why you’re doing it. After all, if we’re honest with ourselves, most of us run predominantly so we can eat more of what we enjoy. 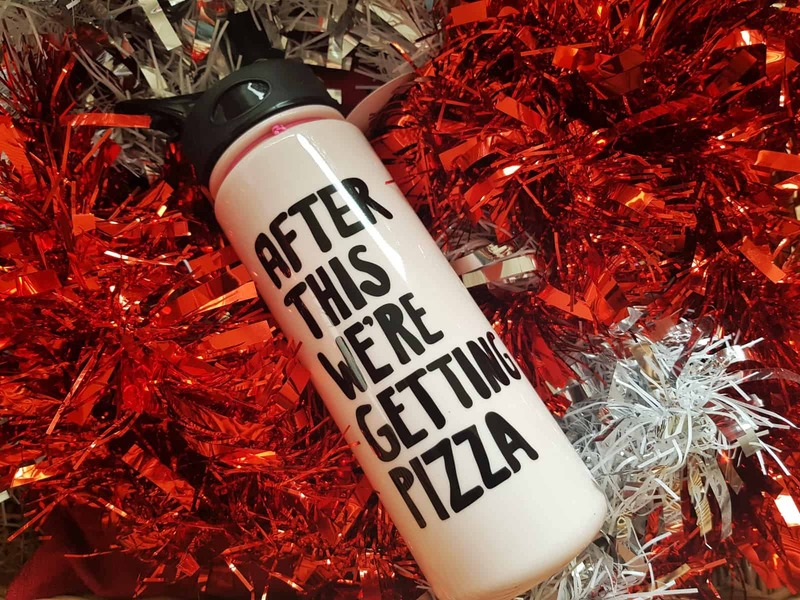 The ‘after this we’re getting pizza‘ water bottle is a great reminder of why we’re running. 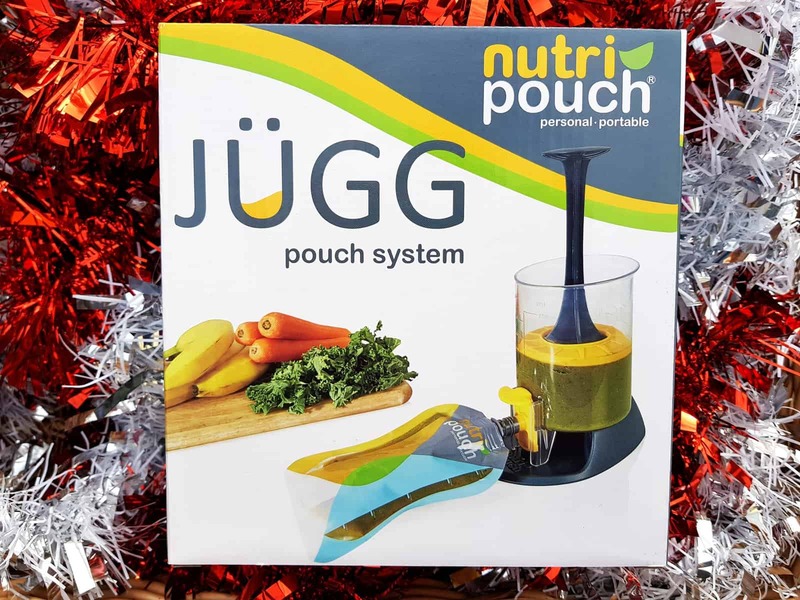 Nutri JUGG food pouch system: The Nutripouch Jügg system enables you to make smoothies, yoghurts, energy drinks, baby food and frozen cocktails. This starter kit comes with the jug system and two reusable pouches. Put ingredients into the jug section, then stir it together, use a hand blender (not included) or use the included masher and combine the ingredients. Attach a pouch to the nozzle and slide down to create an opening. Push the plunger steadily down to force the jug’s contents into the pouch. Pouches can be prepared in advance and stored in the fridge or freezer. They fit well into a pocket or handbag for when you’re on the go. Each pouch can be used up to 50 times. Rhythm 108 treats: One of the most difficult parts of running training is balancing it with what you eat. Because running can make you really, really hungry. But picking at junk food isn’t ideal. So, Rhythm 108 have come up with an ideal compromise. Their real-food treats use pure ingredients and simple recipes to bring the fun back into healthy eating. They are tasty, sweet treats that are free from flavourings and preservatives and packed with the best ingredients. The only problem is, they never last long in our house. They taste far too good. Poppets: When you’re on a long run, it’s helpful to have something to give you some energy on the go. I know a lot of people use jelly babies but they’re not vegetarian so no good for me. Last time I ran a marathon I used skittles, but that experience put me right off the things. So this time, I’ll be using Poppets. They’re in small boxes, easy to eat and fit neatly into a pocket or belt pouch. 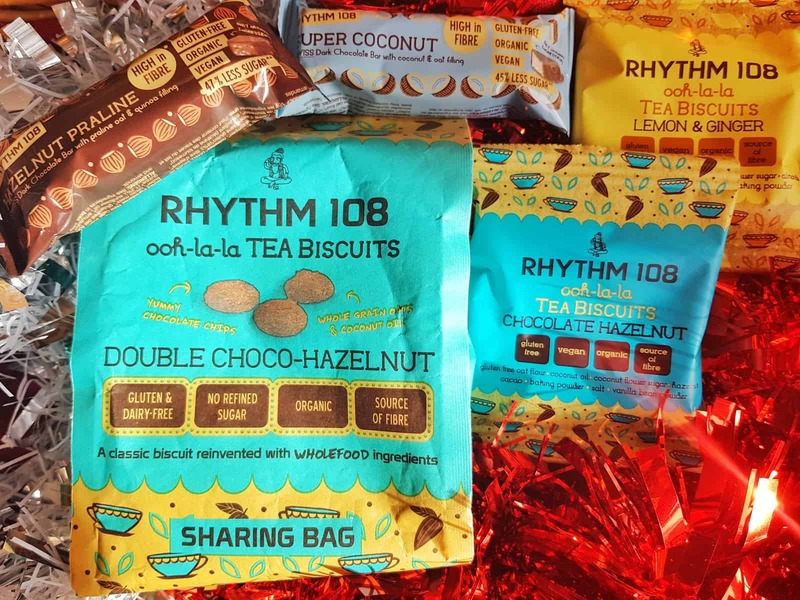 Ideal for a quick energy hit, and I’ll never get fed up of chocolatey treats. One of the toughest things about upping the miles is the pain. Minor injuries and niggles, joint pain and muscle aches can team up to make the Winter before a marathon a pretty uncomfortable time. All these products aim to disprove the quote ‘no pain, no gain’. 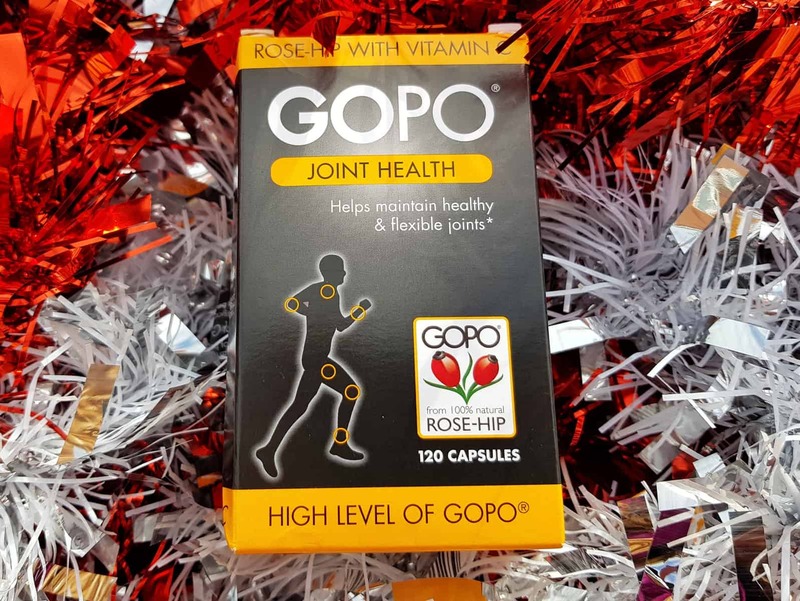 GOPO Joint Health capsules: GOPO is a key component of rose-hip that is thought to play a valuable role in the care of joints and joint tissues. GOPO joint health capsules also contain vitamin C, thought to be needed by the body for the formation of collagen, cartilage and healthy bones. The only other ingredient in these is gelatine so they’re not suitable for vegetarians. Sole Footbeds: As you up the mileage when running, the pressure on your joints and bones increases. Sole footbed insoles support the feet to prevent them from becoming prematurely tired, which can lead to injury including plantar fasciitis. In fact, they are clinically proven to reduce plantar fascia strain by 34%. These can be heat moulded to fit your own foot, ensuring the support they provide is in all the right places. 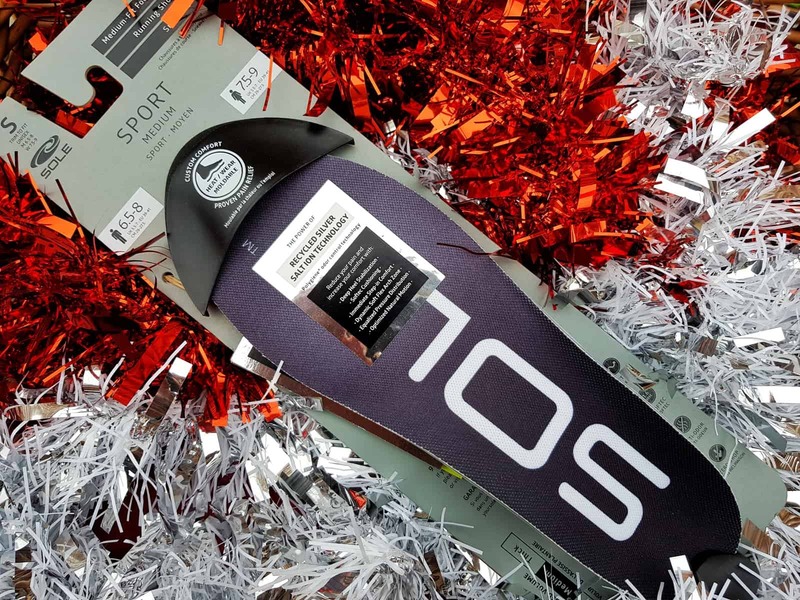 Deep Heat Roll-On: This is an amusing, yet useful stocking filler for any runner. I know I’ll be needing it this Winter! The Deep-Heat Roll-On can be used to loosen and soften muscles, so they move and stretch more easily before you exercise. Alternatively it can be used after exercise to ease sore stiff muscles. The new roll on applicator and improved fragrance also means that you don’t end up with that old Deep Heat smell all over your hands! O’Keeffe’s gift set: Running during the Winter can be incredibly harsh on the skin. I always suffer with chapped hands and lips, and feet can suffer too. 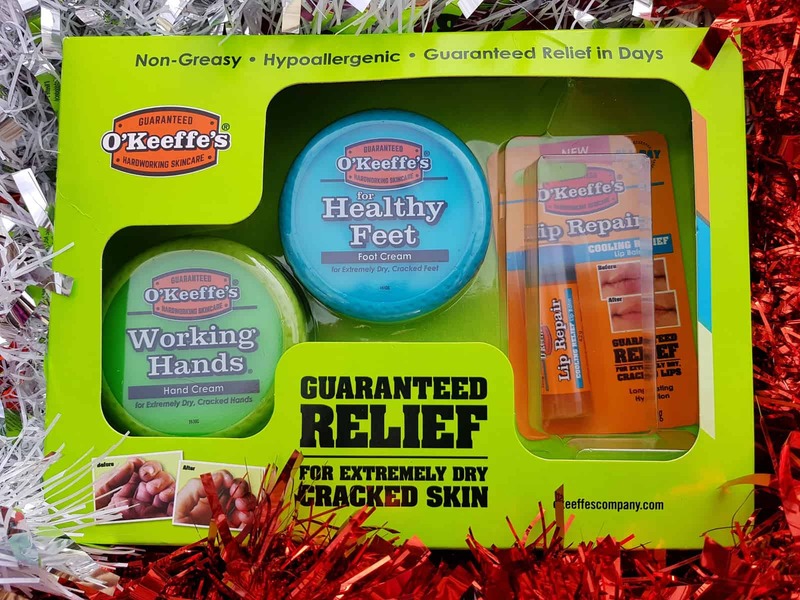 This O’Keeffe’s gift set contains Working Hands, a concentrated hand cream to relieve extremely dry and cracked hands. It boosts moisture levels and forms a barrier on the skin to prevent further moisture loss. The Healthy Feet cream has the same benefits for feet. Lip Repair lip balm relieves and repairs extremely dry and cracked lips, cooling them on contact and providing instant relief in one use. 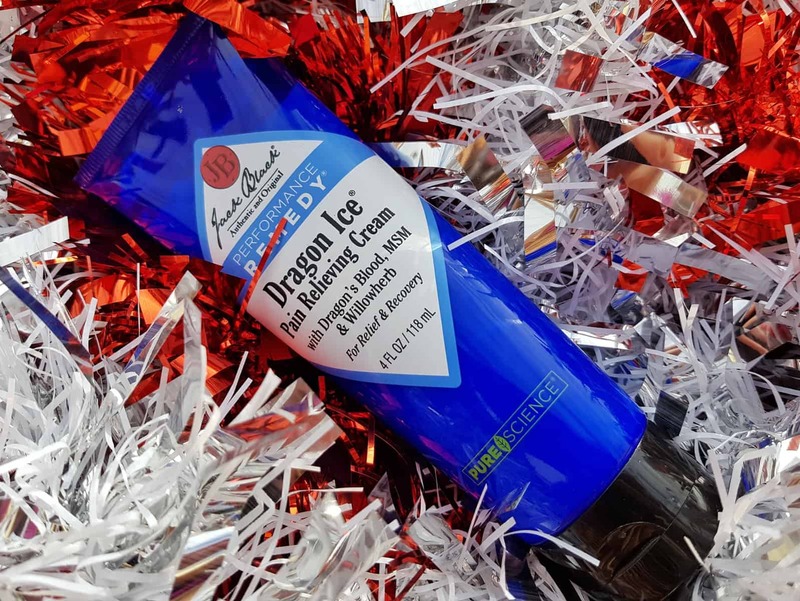 Jack Black Dragon Ice Pain Relieving Cream: Enriched with Menthol, Dragon’s Blood tree resin, MSM, Arnica and Willowherb, Jack Black Dragon Ice pain-relieving cream eases joint aches and strains, lessens discomfort from inflammation, and relieves tension as well as treating sore muscles. It provides immediate and sustained relief and can be used pre and post workout to enhance performance and speed up recovery. 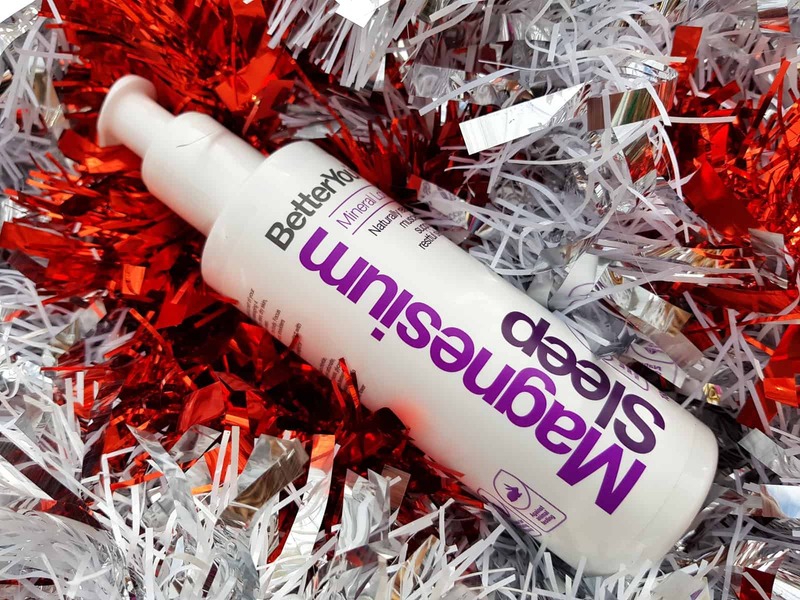 BetterYou Magnesium products: Magnesium is an essential mineral that is used in over 300 bodily processes including muscle function, calcium absorption and bone and skin health. It also helps with muscle recovery and promotes both restful sleep and relaxation. 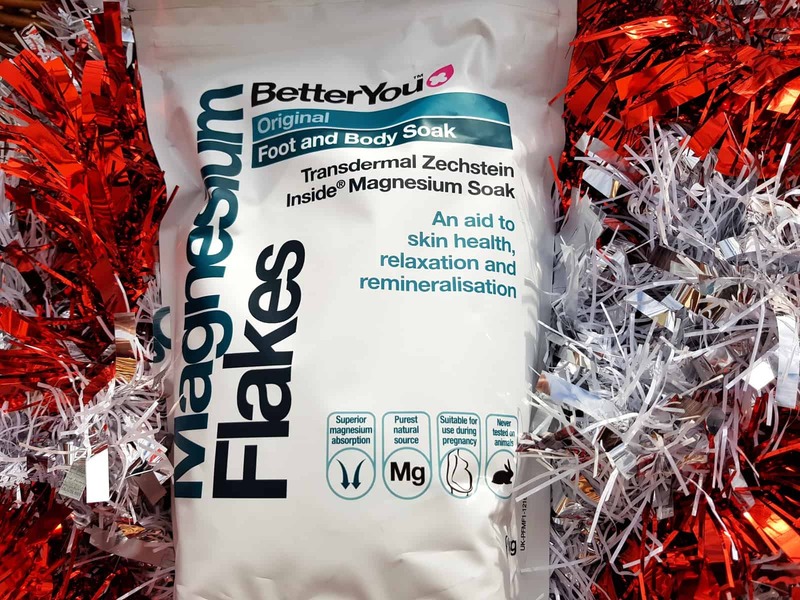 BetterYou magnesium flakes are placed into the bath to replenish your magnesium levels through absorption into the skin and muscles. The Magnesium Sleep lotion uses magnesium to naturally relax the muscles. It also contains lavender and chamomile to relax the mind and help you sleep. 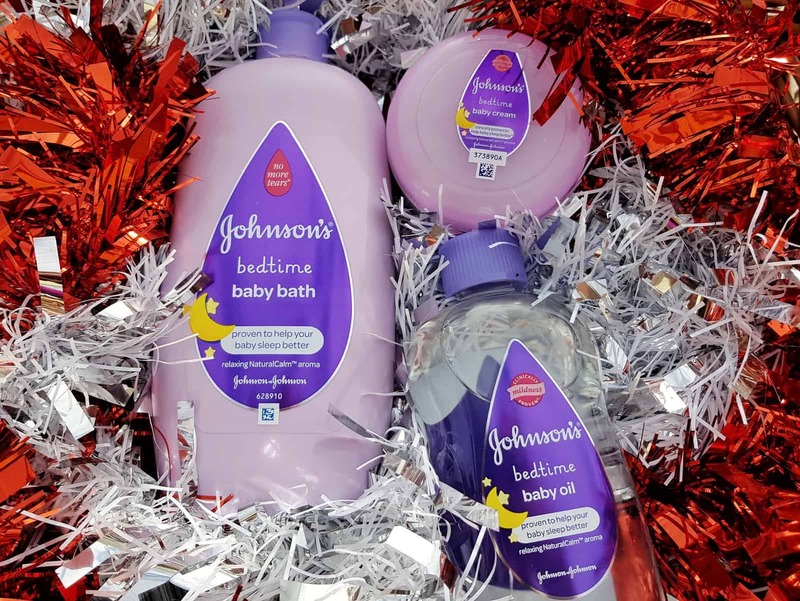 Johnson’s baby bedtime bath products: Sometimes, the most difficult thing about going out for a run is finding the time. This is particularly pertinent when little ones struggle with sleep. Johnson’s baby bedtime bath products are specially formulated to help babies sleep better. That’s why this gift is one that both mum and baby will enjoy. Take the spa home: One of my favourite things about running in the evening is coming home and getting into my PJs. Make that feeling even more exquisite with a Baylis & Harding Skin spa portrait gown set from Victoria Plum. 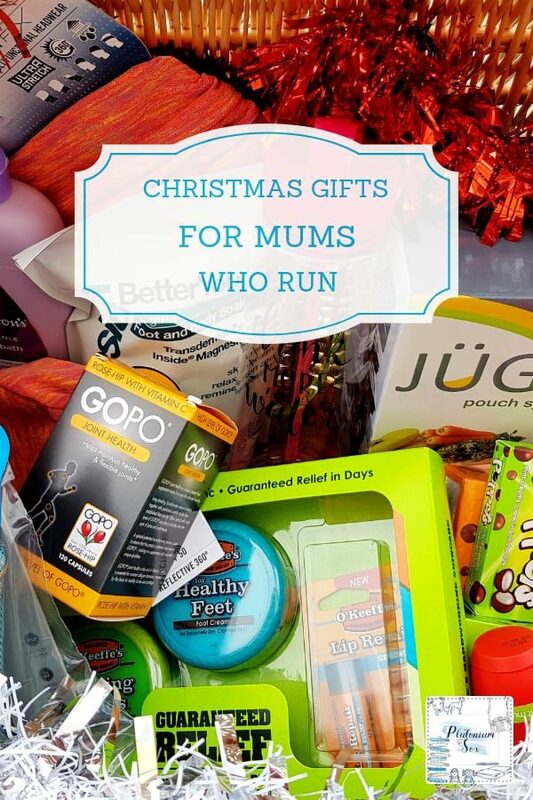 Check out their website for a range of luxurious gifts to treat a running mum to a touch of relaxation. Walking gear: When you’re marathon training, it’s easy to get caught up in it to the detriment of other things. Walking is a great way to relax, so a selection of walking equipment is a great gift to take the pressure off runners. 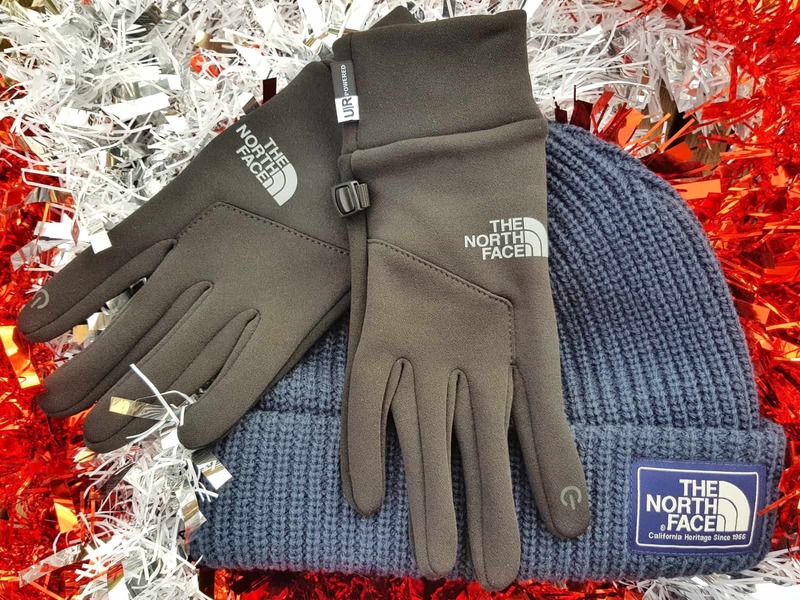 Ideas include women’s walking boots, women’s walking trousers and women’s North Face accessories. Please note, these items were sent to me free of charge to allow me to create this gift guide. All views, opinions and long Winter runs on the horizon are my own. How do you draw a flavour? 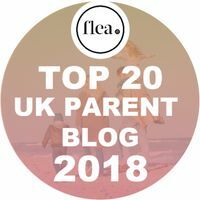 You won’t be surprised to discover that this is pretty much my favourite gift guide ever, so thank you! I think I ‘need’ pretty much all of those things. 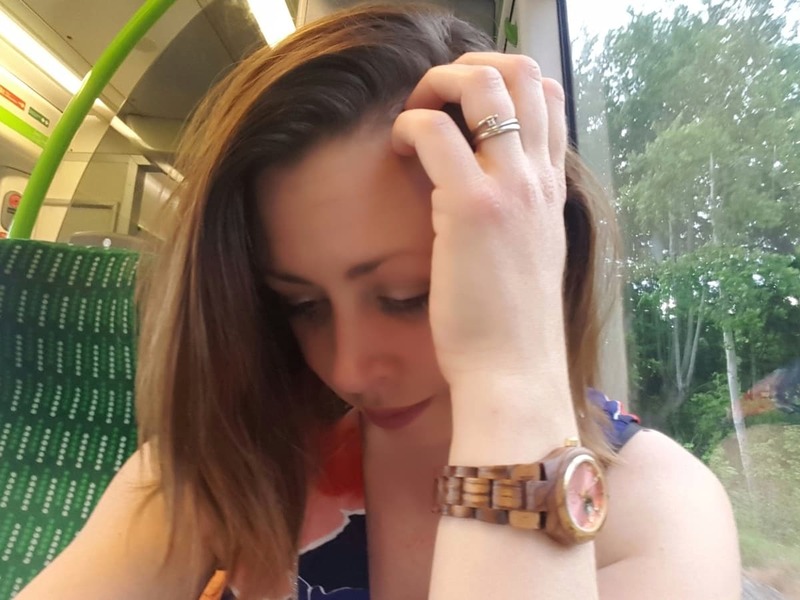 I’m about to start experimenting with fuelling because, as an IBS sufferer, I think it is something I will struggle with, so I’m going to add Poppets to my list! I’ve always hated Skittles, but I was going to try M&S Veggie Colin sweets, as well as gels and Clif Bloks and even tiny pieces of pitta bread with peanut butter. Ahh thanks very much I’m so glad you like it! Fuelling is tough isn’t it? 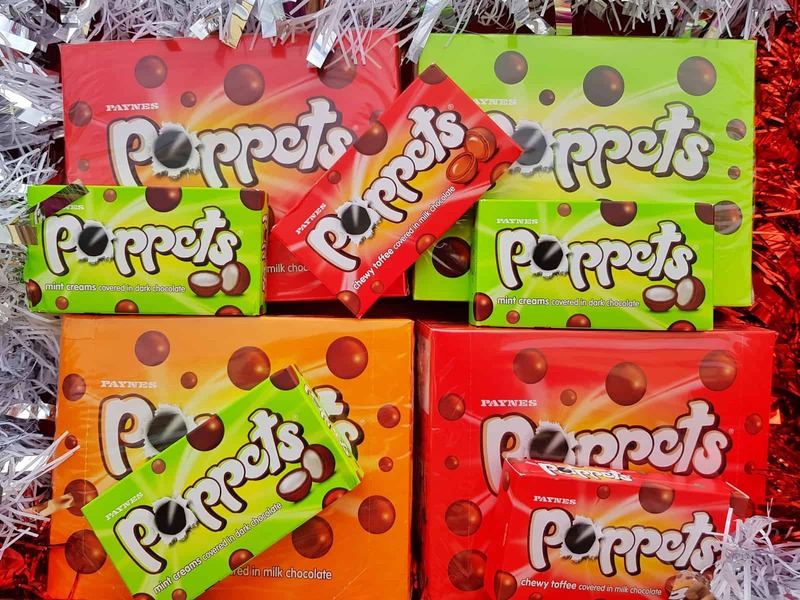 Poppets are really easy to carry with you though and you can’t go wrong with chocolate treats! I would love any or all of these! Thank you, they’re all fab aren’t they? Thank you, I’m so glad you like the list and I hope the hints work! Yes, it’s so good for battered hands, mine are doing much better this Winter since starting to use it!